One of the most joyful part of rabbinic work is welcoming Jews by Choice into the community. The Religious Affairs Bureau of the Masorti Movement officiates at about one hundred such conversions each year. Each of these are a blessing to the Jewish people and to the State of Israel. Today we are seeing all kinds of conversions: where the mother is not Jewish, of adopted children, and of babies born overseas with the help of a surrogate mother. Pictured above is a mother and her two children immediately after immersion in the Mikveh, as they joined the Jewish People in January. 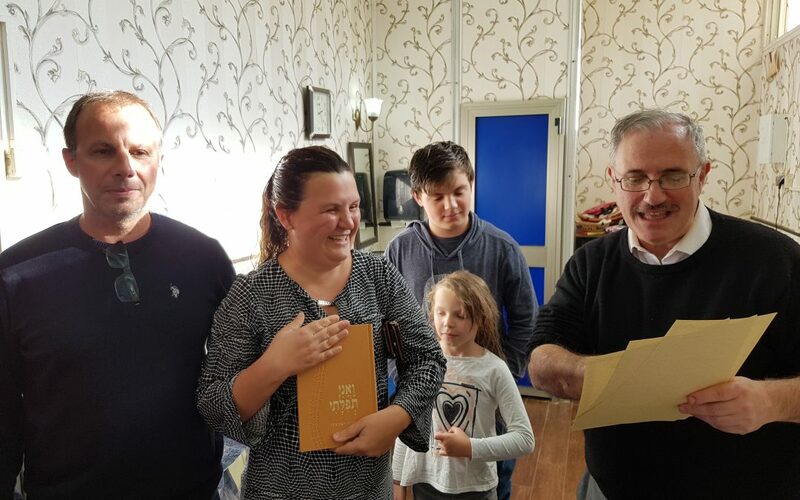 With a generous contribution from North Suburban Synagogue Beth El n Highland Park, Illinois, each convert is presented with a Masorti siddur with an inscription plate on the inside cover. We’re grateful to partner with a dynamic, warm, inclusive, and caring Conservative congregation deeply committed to enriching Jewish lives. We continue our legal struggle to insure that all of our converts are recognized by the State – even as the official Chief Rabbinate does not. 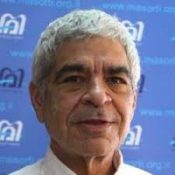 It is with the help of our Masorti/Conservative partners in North America that we serve the people in Israel. Rabbi Andrew Sacks directs the Bureau of Religious Affairs of the Masorti Movement in Israel.